LA JOLLA—A small stretch of ribonucleic acid called microRNA could make the difference between a healthy adult brain and one that’s prone to disorders including schizophrenia. 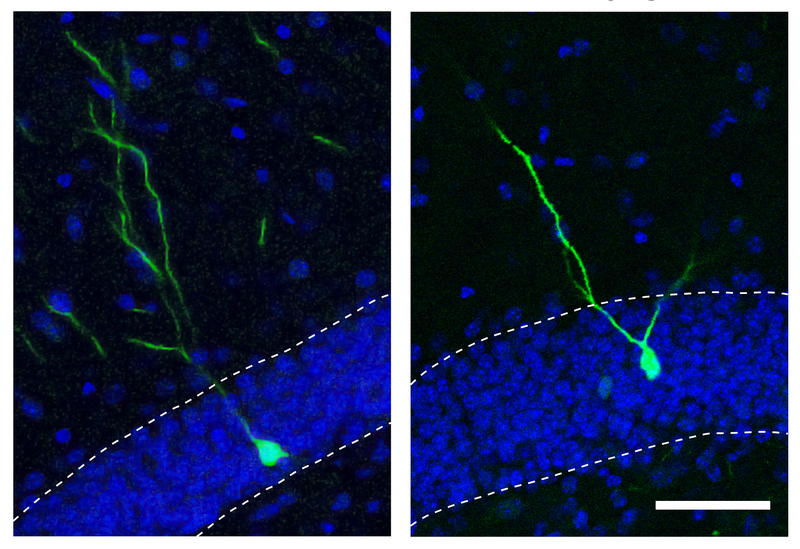 Scientists at the Salk Institute discovered that miR-19 guides the placement of new neurons in the adult brain, and the molecule is disrupted in cells from patients with schizophrenia. 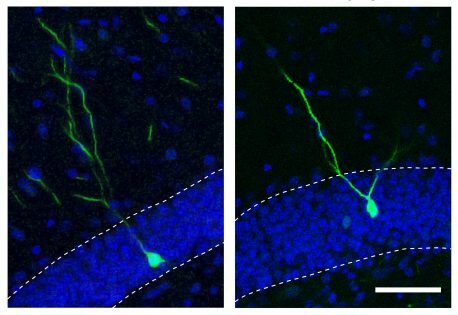 The findings, published in the journal Neuron on July 6, 2016, pave the way toward a better understanding of how the adult brain controls the growth of new neurons and how it can go wrong. “This is one of the first links between an individual microRNA and a specific process in the brain or a brain disorder,” says senior author Rusty Gage, professor in Salk’s Laboratory of Genetics and holder of the Vi and John Adler Chair for Research on Age-Related Neurodegenerative Disease. While most RNA molecules contain the instructions for making proteins—the physical workhorses of cells—microRNAs don’t encode proteins. Instead, they’re active themselves, binding to other strands of RNA to block them from creating proteins. Previously, scientists have shown that levels of microRNA molecules are altered in brain disorders but not which microRNAs are responsible. In a few discrete areas of the human brain, new cells can emerge during adulthood. Gage, Han and their colleagues found that levels of miR-19 changed more than levels of any other microRNA when precursors to new brain cells in these areas (called neural progenitor cells) were coaxed to become neurons in the adult brain. The researchers went on to show that when miR-19 was blocked in neural progenitor cells, levels of RNA corresponding to a gene called Rapgef2 were altered. Moreover, new neurons did not migrate to the correct areas of the brain. Because miR-19 has been linked to cancers—including breast cancer, prostate cancer and B cell lymphoma—researchers have already been working to develop drugs that block the molecule. But the new results, Han says, suggest that such drugs could have an effect on the brain. “This means that if miR-19 is being targeted in cancer, effects on the brain need to be carefully considered,” she says. “But it also means that people might use these therapies to treat neuropsychiatric disorders.” More work is needed, though, to see whether the results hold true in humans. 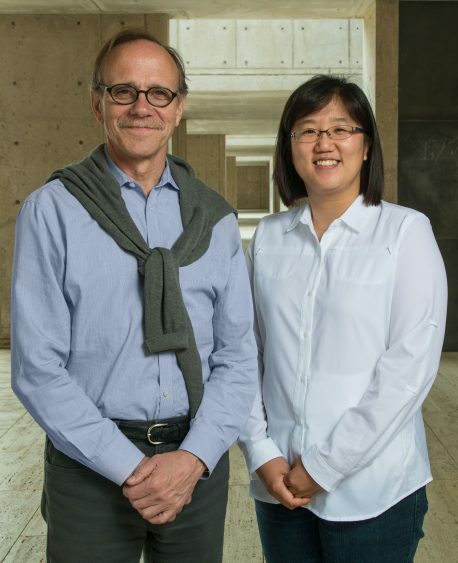 Other researchers on the study were Hyung Joon Kim, Simon T. Schafer, Apua Paquola, Gregory D. Clemenson, Tomohisa Toda, Jinseo Oh, Aimee R. Pankonin, Bo Suk Lee, Stephen T. Johnston, Anindita Sarkar, and Ahmet M. Denli, all of the Salk Institute. The work and the researchers involved were supported by grants from the Life Science Research Foundation, California Institute for Regenerative Medicine, the James S. McDonnell Foundation, The Leona M. and Harry B. Helmsley Charitable Trust, The JPB Foundation, the Robert and Mary Jane Engman Foundation and The G. Harold and Leila Y. Mathers Charitable Foundation.